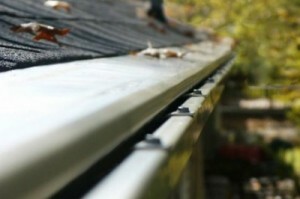 While you may not think about your gutter covers often, they are among the most important components you can invest in for your home in the Madison, Wisconsin, area. Even though your gutter system channels rainwater away from your home’s structure, it is likely that it will eventually become clogged by leaves, twigs, seed pods, pine needles, and other debris. Gutter covers prevent your gutter system from clogging and ensure that it can continue to do its job effectively year after year. Furthermore, we will install your gutter cover using all of the expertise you would expect from a company that has been in business for more than four decades. We are family owned and take pride in the work we do, as evidenced by our A+ rating with the Better Business Bureau. For additional information about the gutter covers we provide to homeowners in the Madison, WI, area, contact ABC Seamless Home Specialists today.